New Item! Expected to Ship 05-17-2019. Quality in-ears with charging case. 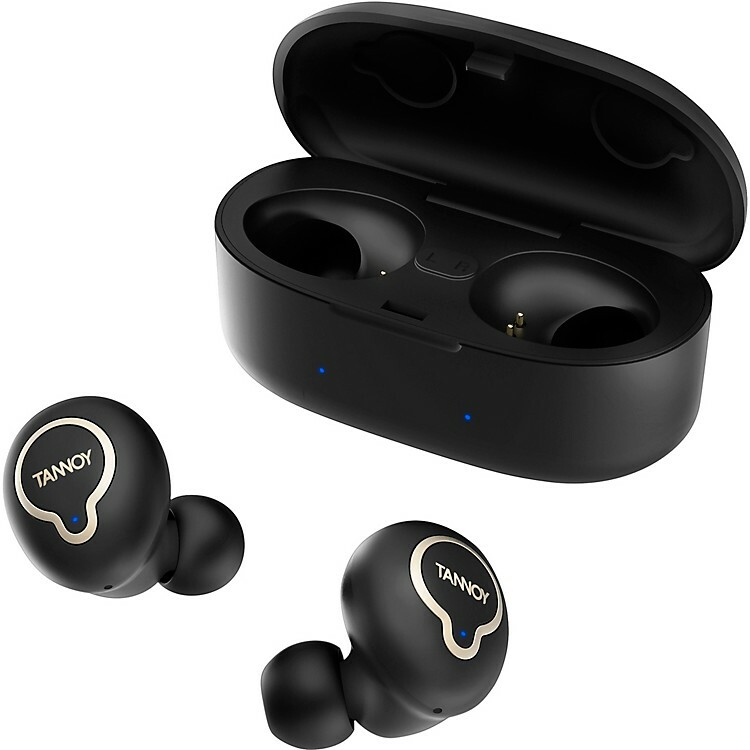 Tannoy has been at the forefront of audio innovation for over 90 years, and LIFE BUDS wireless earbuds bring that legendary performance to your on-the-go wireless listening. LIFE BUDS use a proprietary DSP (Digital Sound Processor) to replicate the sound of Tannoy’s famous Dual Concentric single point source loudspeakers. The Dual Concentric driver technology used in Tannoy loudspeakers provides class-leading coherence and point-source imaging for a truly natural sound. Thanks to their built-in DSP, LIFE BUDS deliver those same breathtaking dynamics, along with powerful transient response and unparalleled realism across a wide frequency range with virtually zero coloration. When fully charged, your LIFE BUDS provide 4 hours of playback time and work with any Bluetooth device. They come packaged inside a compact soft-touch carry case that also serves as a convenient recharging station, providing up to 12 additional hours for a total of 16 hours play time. LIFE BUDS automatically pair with your Bluetooth device the instant you remove them from the charging case. LIFE BUDS' performance goes beyond its high-quality sound with features that include a built-in microphone for clear hands-free calling, single-touch and automatic pairing with your phone or any Bluetooth playback device, and convenient multi-function touch controls for 1-touch power, pairing, play, stop, skip, call answering. In order to fully enjoy your music experience, you need superior audio isolation. That is why LIFE BUDS include a range of silicon earbud sizes to provide a custom fit that allows you to shut out the rest of the world. The high-grade earbuds provide maximum comfort, while LIFE BUDS' design makes them compact, sweat proof, lightweight and discreet. Tannoy represents 90 years of British sound heritage and innovation. Order today.